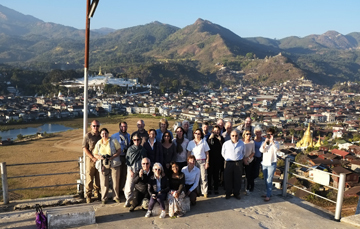 We are starting again tour group (small group) to Mogok. Mogok is a mythic destination, beautiful but rather expensive (and a little difficult to go, now you need two special permits /11/2016). 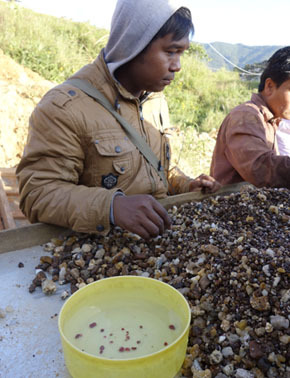 Mogok has been closed more than 10 years, most or all guides have no gem knowledge and experience of Mogok. we are now offering small tour with GEM-A graduated French and English guide. 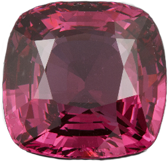 I am lucky to have been able to go to Mogok regulary during the last 14 years (year 2000) et to be graduated from FGA Londres - GEM -A with the diploma in gemmology, (site FGA : http://www.gem-a.com/) so I now very very well this region. 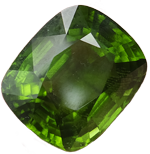 I have done my gemmological studies in Myanmar, so I able to organise a trip for people interested by the gems and Mogok. We are the travel agent with the biggest experience of Mogok, and a lot of gem school or labs are working with us when they want to visit Mogok. - various buyeurs and tech lab. 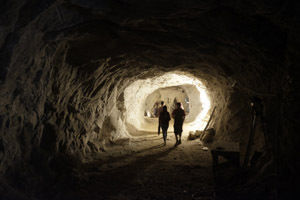 If you can try to avoid the rainy season (May to October), some mines are flooded during that season. It is possible to go any, and Mogok under the rain, with a lot of myst is quite charming (we like a lot in fact). The best time is from October to May (end of May is still ok). In Winter, November to end of February it is cold at night in Mogok (1500 m elevation), with night temperature around 3-6 C°. Better to bring some warm clothes (same for Pwin Oo Lwin, Inle or Kalaw, in winter, evening time. How can you go ? 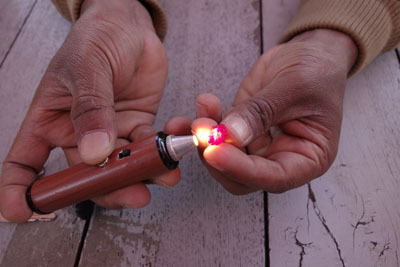 You must have an official licensed guide and a special authorisation. We take care of all of theses points. There is two road to go to Mogok. 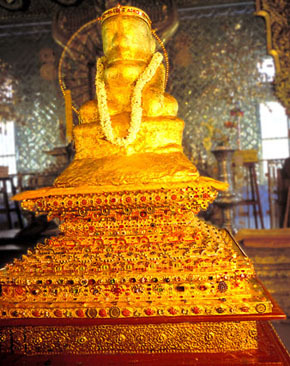 The oldest one starts from Mandalay and it takes 7 hours. The new one starts at Pwin Oo Lwin and it takes only 4 hours. The Pwin Oo Lwin road is underconstruction, it is a superb road, with beautiful forest and landscapes but you need a powerfull car. 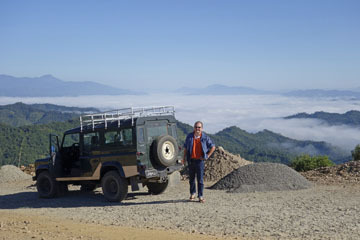 June 2013 : The road from Pwon Oo Lwin to Mogok is now finished. It has been modified since Decembre 2012 because somes parts were impossible to drive with a truck or a bus. Now it is possible with a normal car. 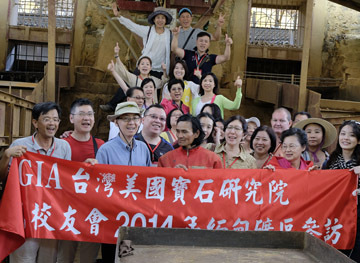 Alumni of GIA (institut américain de Gemmologie) fromTaiwan. Day 4 : drive back to Pwin Oo Lwin or Mandalay. 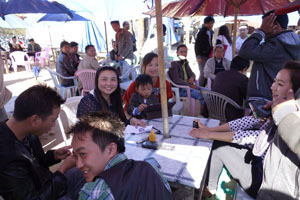 This kind of program is more for people really interested by gems, gems business and activities (not only visiting a mythical place such as Mogok). The program is longer with also a part about the Burmese Jade (the best is the world),Burmite, the colours stones and the rare gems. Also included Myanmar pearls and conche pearl. 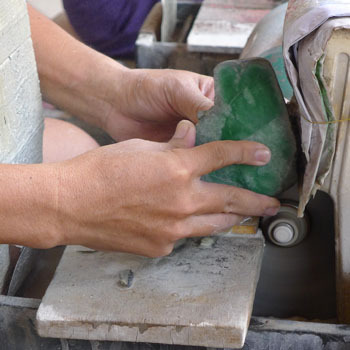 - Mandalay : jade market, jade cutting in Mandalay..
We will do a program tailor made for your group and student. Do not hesitate to contact us at any time. market in Mogok, all very interesting) .